Everyone knows a True Southern Girl can Bless Your Heart while actually cutting you down. This Southernology® Bless Your Heart design with arrows and hearts is essential for all Southern girls! 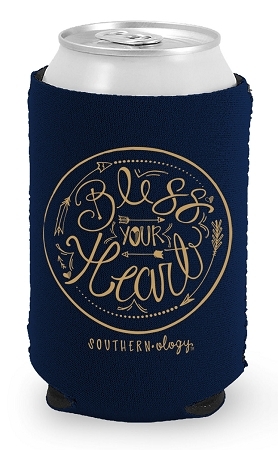 Grab this navy Bless Your Heart coozie and get your matching shirt today!